There is nothing more enjoyable on a hot summer afternoon than plunging into cool, clean water. However, many of us cannot enjoy this luxury due to the distance from a significantly big body of water. Thankfully, there is always an option to build a pool. Furthermore, modern blueprints and materials offer a unique opportunity (or a luxury) to customize and design a poolside that has your name all over it. Would you like to enjoy a fancy snack and tea by the pool? If you are pressed for space, bistro patio can be a perfect option for your poolside area. If you can afford it, opt for metal framework arrangement, something with art nouveau or rococo design and shape. Metal chairs should, naturally, come with warm sitting pillows and the best type of table comes with a glass surface, though many people opt for different materials due to glass’ tendency to break or scratch. You can easily change the position of these items, depending on the time of day and the location of the shade, though you could install sail shades above the chairs. Adding a bit of greenery always makes the poolside area look livelier. 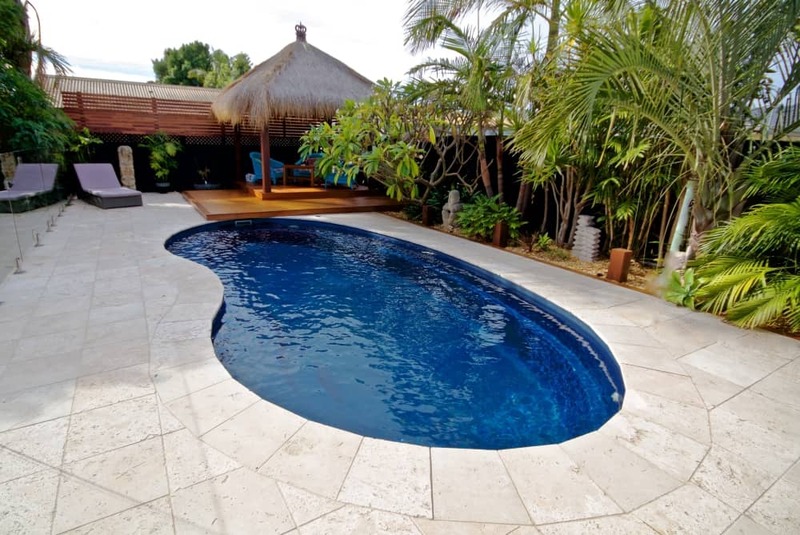 Depending on the climate, you can create a truly marvelous little slice of Eden that will complement your relaxation poolside area and pool itself. There are two ways to go about this – you can either create a perfectly designed, controlled but aesthetically incredible gardens that will frame the area. Or simply plant the flowers bushes and trees you like with no particular order in mind and let it grow into a wild garden. Both options can look stunning and they both have their positive and negative sides. The most important thing you should keep in mind is the logistics of cleaning. Have the pool cover ready and rake in your hand’s reach. Taking care of your poolside garden can take a lot of time and be a downright nuisance, but at the peak of its beauty, you will know it’s worth it. Outdoor rooms with a pool as its centerpiece are a big trend right now. This sort of area partly mimics the appearance of a living room combined with other crucial areas. 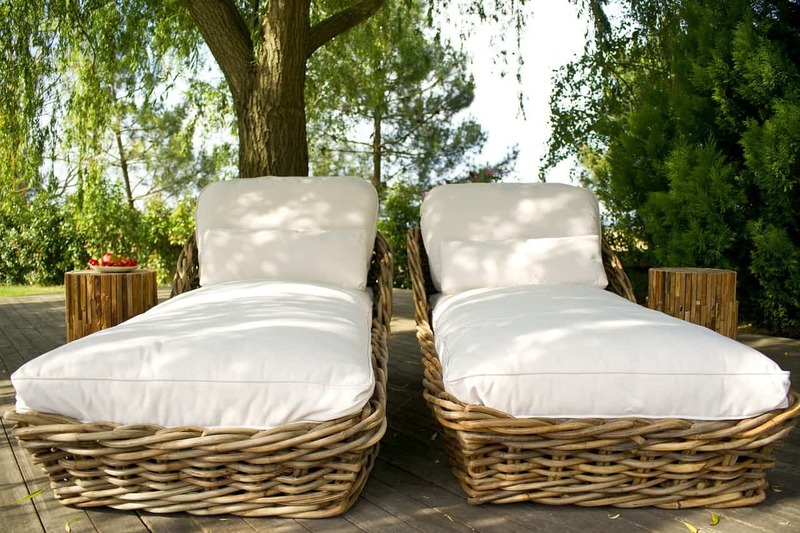 It all depends on your desires – equipped with modern patio furniture that accentuates comfort over practicality with a lot of decorative pillows added for comfort can mesh with a small kitchen or dining area (actually, why not all of them) to create the ultimate summer dwelling. After all, it’s much easier and pleasant to cook outside int he summer evenings. The rest of it is merely a matter of “framework”. In other words, the way the outer room is shielded from the weather and outdoor elements. The most popular option is a wooden roof that extends from the house and glass walls with the wall-sizes sliding door that opens up towards the pool. Many people like to add curtains and fabric that turns the room into something much more similar to glamorous baldachin element. The way you’ll go about this is really open to interpretation and it solely depends on what you want to accomplish. The pools themselves come in various shapes and sizes. Poolside area can be designed in various ways and it can be really hard to strike that perfect balance between practical and beautiful. We all know the bottom line – the point is to create a poolside area that reflects your sensibilities of beauty and calmness. It is meant to be a perfect Zen zone and the pool itself needs to communicate that too, by blending perfectly with the rest of the environment. You should check out different poolside ideas for inspiration and come up with a design solution that feels like you. Maybe you will want to add pumps that will make the water move and produce calming river sound or make the outline of the pool organic and curving, so it mimics the look of a pond or a lake. And if you have a smaller yard, a contemporary plunge pool imposes itself as the ideal solution. These versatile structures are designed to fit perfectly into any outdoor space, plus you can easily turn them into a health-boosting haven by adding spa jets. If you have enough money and space to create your own little paradise away from daily woes, there is no fair reason not to go all the way with it. Customization is the name of the game in design business at the moment, pool areas and pools themselves are going through an interesting household “renaissance”. After all, we people are creatures of comfort and beauty, and having both unified to give us the perfect poolside area is sometimes all we need. Previous ArticleWhat are the best home improvements for adding value to your property?